Brunswick welcomes visitors to the northwestern-most county of Missouri German Heritage Corridor, as they explore the stories, history, festivals and identity of our early German ancestors. In the 1800s, thousands of Germans settled along the Missouri River valley, similar to the Rheinland, where distinctly German communities still exist, including Brunswick in Chariton County, Missouri. 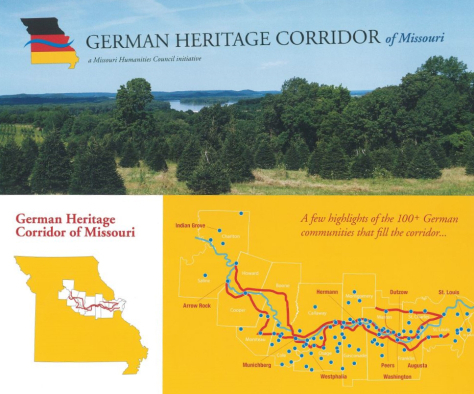 On July 1, 2016, Governor Jay Nixon designated 16 counties along the Missouri River as the Missouri German Heritage Corridor, when he signed House Bill 1851 into law.